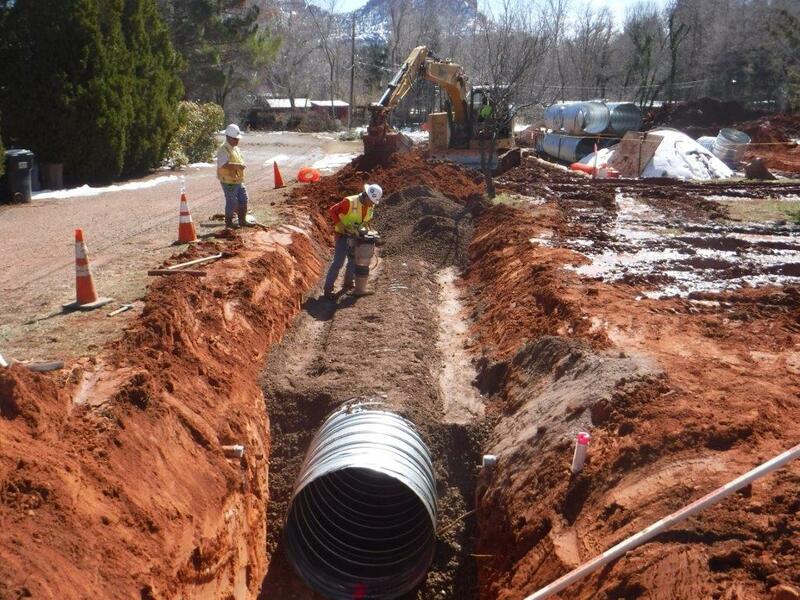 This project for the City of Sedona consists of installation of approximately 1000 lf of 42" CMP & SRP with a small portion of 36" CMP installation to improve drainage along Juniper Lane. Complete roadway reconstruction will complete the project in July 2019. 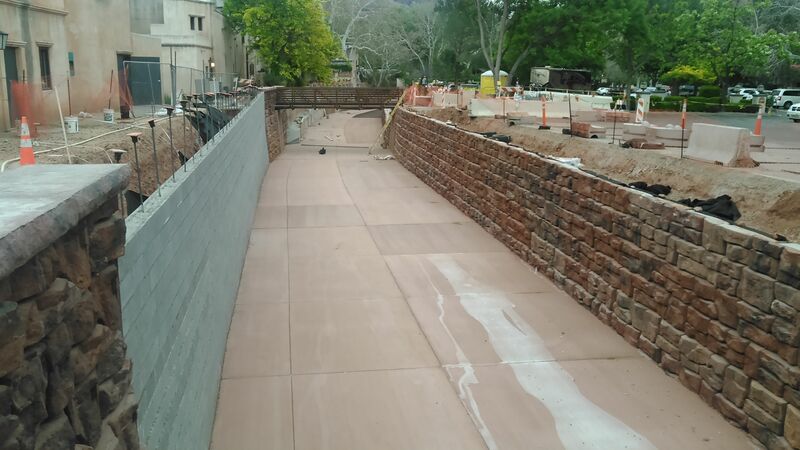 This project consists of four phases for the City of Sedona's drainage improvement plan for Soldier's Wash which runs through the T'laquepaque shopping village. After completing the new vehicle bridge and pedestrian bridge crossing last year, TCC has begun the rehabilitation and improvement of the channel. Beginning by clearing the channel of storm water debris, trees, brush and squaring up the wash profile, installation of RediRock and CMU block began. This block will prevent channel erosion while being aesthetically pleasing. Once the block installation is complete, the bottom of the channel will be lined with concrete furthering the erosion mitigation. These four phases included demolition, relocation of multiple sewer, water, gas and dry utilities, 4139 cy of excavation, 12,660 sf of Redi-Rock channel bank protection, 23,880 sf of 6” concrete channel bottom, 553 lf of CMU retaining walls, 55 cy of shotcrete, 226 cy of rip rap, 8’ H x 22’ W x 32’ L precast box culvert and 8 x 30 clear span corton steel pedestrian bridge and abutments. 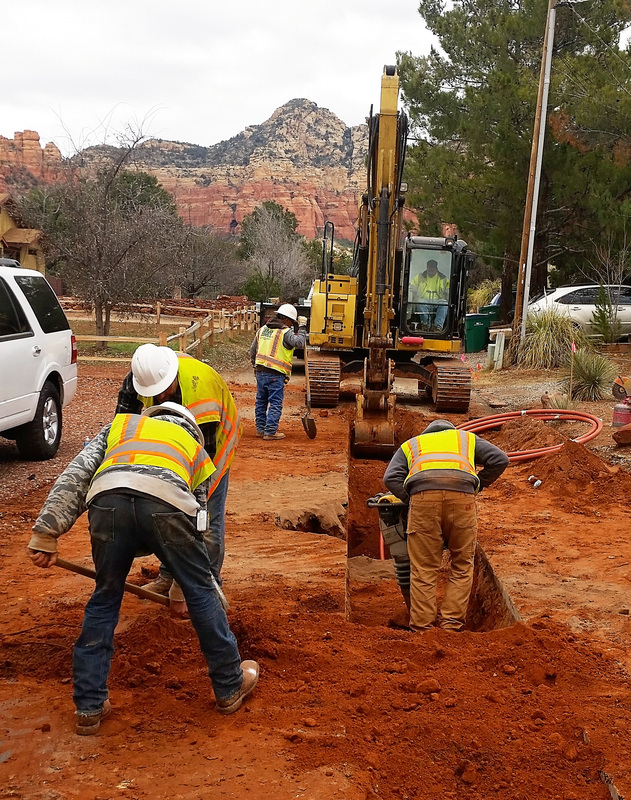 Working with the City of Sedona, T'laquepaque, Los Abrigados and El Portal management has ensured Spring Break season came and went with minimal interruption and visitor access and safety were maintained throughout all four phases. 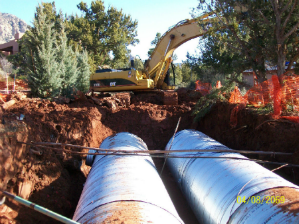 This project consisted of clear and grubbing, excavation and export for drainage channels, rock rundowns, and log rundowns being created on the Coconino National Forest. TCC worked closely with the County, USFS and engineers to complete this project on time. 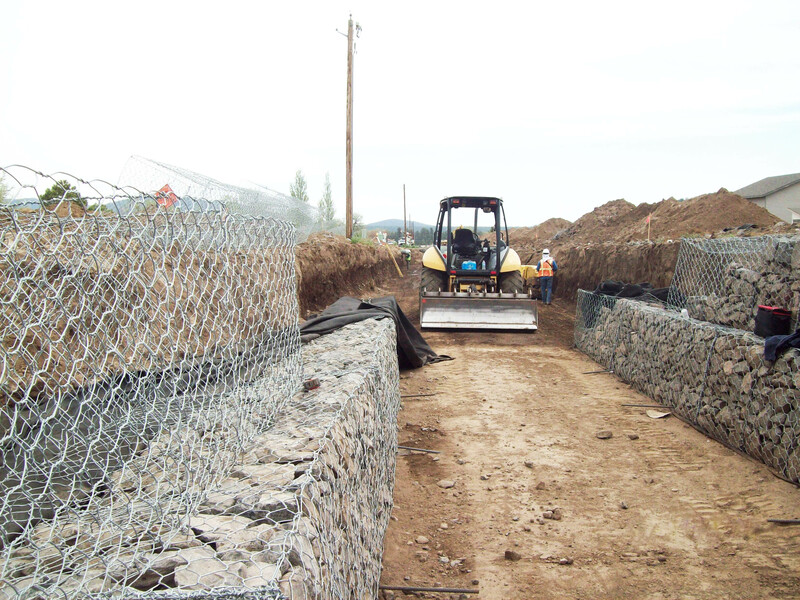 This project required new SRMP, headwalls and channel construction to abate flooding from Shultz Fire burn areas. 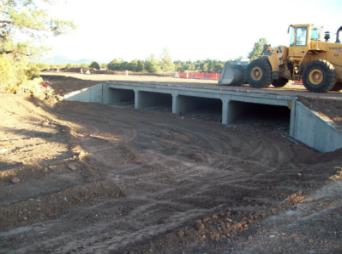 As one of the projects designed to aid in the flood mitigation efforts of Coconino County in areas effected by the Schultz fire, TCC installed a shotcrete channel, water crossings Grade control wall, and asphalt removal and replacement. This project consisted of 17,631 CY of excavation and export, 2,493 LF of 60" SRMP, Gabion Channel, Asphalt removal and replacement as well as extensive utility re-locations and a new TRM lined channel. The channel improved drainage to an area affected by storms related to the Schultz fire. We successfully communicated with the team (Coconino County, Forest Service, Civiltec Engineering, and NRCS) including the residents to update project status, discuss and resolve any concerns. We received numerous accolades from the residents for our professionalism, diligence and open communications. 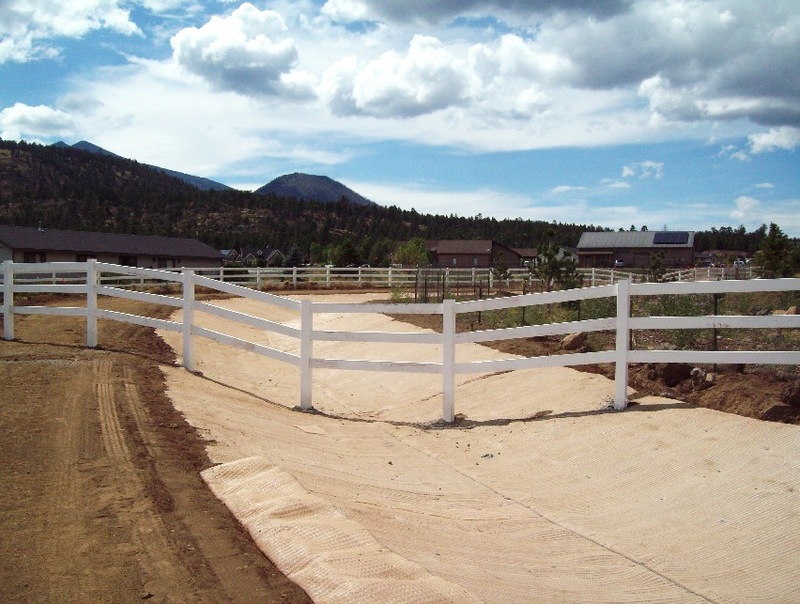 This project consisted of 5,224 CY of excavation and a new TRM lined channel adjacent to an existing subdivision. The channel improved drainage to an area affected by storms related to the Schultz fire. We were able to complete the project in two months by properly managing the construction and by working long hours, six and seven days a week to avoid the peak monsoon season. We successfully communicated with the team (Coconino County, Forest Service, Civiltec Engineering, and NRCS) including the residents to update project status, discuss and resolve any concerns. We received numerous accolades from the residents for our professionalism, diligence and open communications. This project was created to remove and replace the failing gabion lined drainage channel installed during the spring/summer of 2011. Tiffany was employed to work with both county officials and the selected engineering firm (Kimley-Horn & Assoc.) on the design, constructability and budget for this project. We worked side by side with both entities providing design input and value engineering alternatives including budget reviews to insure that the project came in under budget. TCC met severe time constraints on both the design and construction phases of this project. 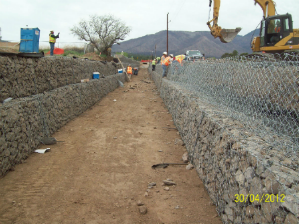 The project consisted of the removal and replacement of two and three-tier gabion baskets with a 6” concrete channel for the entire length of the drainage channel (2334 lf) in addition to traffic control and dust mitigation. Additionally the County requested work above and beyond the contractual scope of work, which Tiffany completed at no additional cost to the County through value engineering. The project schedule was tight and work had to be completed prior to the monsoons. TCC placed multiple crews on the site to insure early completion. The adjacent property owners expressed their appreciation for the diligence and quality our crews maintained throughout the duration of the project. The gabion basket supplier (Macaferri) brought other gabion contractors to our site to “show them how the finished product should look”. Tiffany also assumed coordination duties with APS and Century Link for utility relocations relieving county officials from this burden. Tiffany Construction was the contractor for the Design and Construction Phases of this CM@R project. During the design phase Tiffany met with the design engineer and provided constructability reviews, value engineering and prepared estimates for best value alternates. Also, TCC prepared a master construction schedule, traffic control plan, designed and reviewed the SWPPP plan, Sub-Contractor Selection plan, attended meetings with the city and design engineer and prepared the GMP. The construction part of the project included the excavation and installation of 1,760 LF of Storm Drain Channel. The major items of work include: 251 LF of dual 78” SRMP, 154 LF of dual 72” SRMP, 332 LF of dual 72” CMP, 410 LF of dual 78” CMP, 430 LF of 142” x 91” CMPA, 125 LF of 12” through 48” CMP, 14 LF of Concrete Transition Channel, 340 SF of Concrete Channel modification, custom grated headwall, custom junction structure, concrete channel with baffles, various removals, traffic control, landscaping, SWPPP construction staking, riprap swales, AC paving at street crossings and several other miscellaneous items. Tiffany took over as both the Design and Construction Phase Contractor for this CMAR project after the contractor selected initially was not able to meet the City of Sedona’s budget. When we became involved in the design phase of the project, the plans were at 80% complete status. This provided us an opportunity to work with the city and design engineer to incorporate value engineering options and constructability reviews in a combined effort to achieve the budgeted amount. Tiffany not only was able to meet the city’s budget but we saved the city an additional $161,410 from the GMP. Also, we prepared a master construction schedule, traffic control plan, designed and implemented the SWPPP plan, Sub-Contractor Selection plan, attended meetings with the city and design engineer, and prepared the GMP. Tiffany received numerous accolades from the residents and property owners for our communications and processing of the job and minimizing disruptions to all concerned. This project consisted of clearing and grubbing, road reconstruction (including placement of 6016 cy of borrow material to elevate the roadway), 65 lf reinforced concrete box culvert, 118 lf 33”x49” CMP arch placement and grading of 969 cy of recycled asphalt pavement. TCC obtained, coordinated and supervised the survey, geotechnical and quality control functions of the project through selected qualified subcontractors in addition to the structural concrete subcontractor hired to complete the box culvert. TCC designed the traffic control and storm water pollution prevention plans. We were praised for our efforts for maintaining safe access for vehicles and pedestrians during construction. The project was completed three weeks ahead of schedule.